Do Your Payment Choices Affect Your Finances? How you pay impacts how you feel about the transaction and your purchase. Find out what your choices say about you and which methods lead to better buying decisions. What's your favorite way to pay when buying stuff? Do you like to pay with cash? Credit card? PayPal, perhaps? Is your debit card your best friend when you shop? 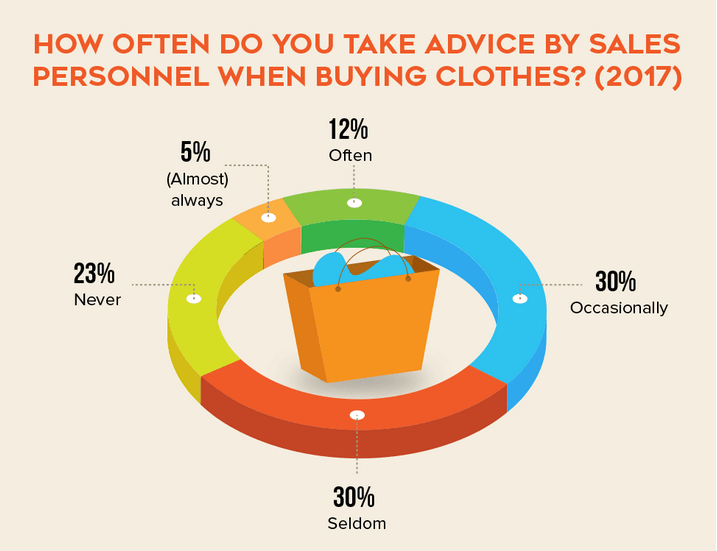 The study reveals that most people don't really understand or give much thought to why they make certain purchasing decisions. They just pull out their favorite payment method without even thinking about it. I personally witnessed this happen to me when I allowed myself too much freedom with my credit card use—I found it became harder to control my impulse buying, despite being someone who's generally careful with his finances. We'll help you spend less, save more, and make better and safer purchasing decisions by showing you how the payment method you choose triggers your spending habits and influences your buying behavior. Lower-income consumers aren't always able to get credit cards. They might also have lower credit limits and maxed-out cards. After all, it's not always easy to re-establish your credit after losing points. Another reason people use debit cards and cash more often is to stay on-budget and not rack up credit card debt and interest fees. You can now pay with credit cards, debit cards, and smartphones. You can use your financial accounts to make online payments at retail sites. Peer-to-peer systems like PayPal are gaining acceptance. Cryptocurrencies like Bitcoin are a new trend. With all these options on the table, everyone is interested in the psychology behind purchasing. Financial experts, government agencies, and businesses have all shown renewed interest in researching and studying the topic much more closely. If you're a business owner, it's important to understand why people pay the way they do. Giving customers multiple payment options will let them choose the least "painful" option, which can lead to more sales. As a consumer, it's also a good idea to understand why you might be choosing certain payment methods over others. This can help you understand how to curb your own impulse buying, which helps in avoiding getting into more debt. It's bad for you as the consumer. It can also be bad for the local, regional, and national economies. When you pay using cash, you see your money actually leaving your wallet after you make the purchase. When you use a credit card, you tend to keep more money in your savings or checking account because you'll be paying for your item later, over time. For this reason, people tend to pay for expensive items using credit, according to the TSYS study. Consumers also tend to use their credit cards to pay for "guilty pleasures," like unhealthy snacks. For some reasons, people are also willing to splurge more on entertainment, like concerts and other events, when using plastic. This means that having more credit can lead to greater spending and more impulse buying. Using a debit card is more psychologically "painful" than using credit, but is still easier than paying with cash. In other words, you're more likely to better control your budget if you only use cash, since it hurts more to watch it dwindle away. If you're like most consumers surveyed, you put a premium on your payment system's ability to stop fraudulent activity as soon as it occurs. Older consumers typically have less experience with financial technology. This means they tend to pay with cash, debit cards, and credit cards. Since most older consumers don't have much experience with technology, tools like financial apps aren't as trustworthy to them. Older consumers worry not just about hacking and data breaches, but also about making mistakes that can cost them money. 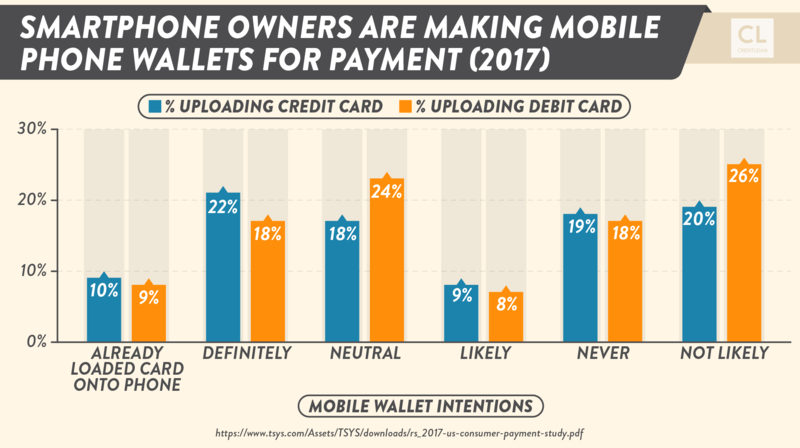 On the other hand, younger people are more willing to use financial technologies like smartphone wallets, and are more likely to use payment methods like PayPal. This is because younger people trust technology more, since they basically grew up with it. Millennial survey respondents said that in the next few years, they will probably pay for most of their in-store purchases using in-app mobile options. Companies are constantly working to make their payment methods more secure, but nothing ever is totally risk-free. Each time I read about another data theft from a big retailer, bank or credit card company, the security of my information comes to mind. That's why I change my passwords at least once a year, if not more often. This might simply include marketing spam from retailers, banks, and credit card companies. However, data breaches can also lead to identity theft. Younger consumers who trust technology might not be as nervous about financial technology. This means they might not be as careful with their digital security as older consumers. On the other hand, older consumers might not be as knowledgeable about the latest cases of online fraud as younger consumers. Privacy invasion is a risk for all of us. The more payment options and apps you have, the more at risk you typically are. Interestingly, while privacy is important, consumers don't mind their information being used for targeted coupons, discounts, and other offers, according to the TSYS survey. That's because it doesn't feel like you're wasting actual money (cash). Just like how spending cash can be more painful, it can also lead to more guilt. This means relying on other methods like credit can lead to spending more money on items like junk foods, clothing, or music, for example. This is true even with people who are normally "tightwads." It doesn't matter whether someone's a spendthrift or a penny-pincher, studies have shown that even the tightwads among us spend more on impulse items if they use a card instead of cash. They actually feel even less guilty than people who aren't tight with their money since they're so careful about spending most of the time. When people purchase healthy or "important" items, however, the method of payment doesn't affect the amount they buy. 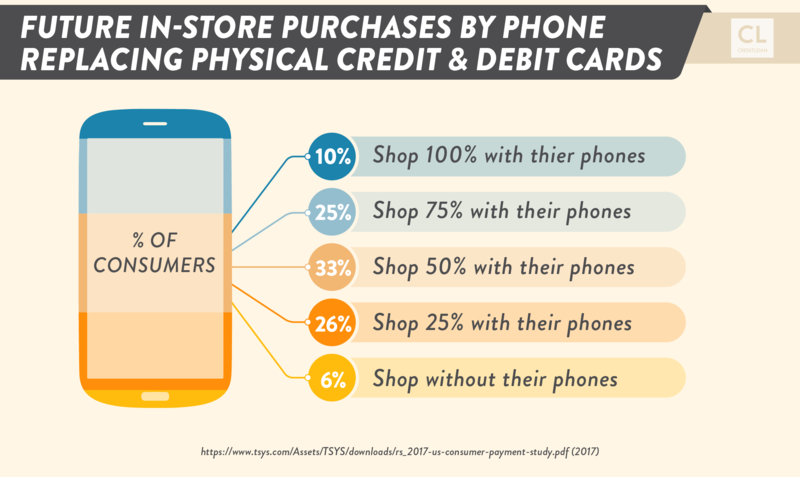 This leads to cash consumers feeling better about their purchases. They feel their purchase is worth more if they paid with cash, and it feels more valuable. For this reason, consumers tend to like items more if they pay for them with cash instead of credit. This is true even in the case of using a debit card—it still separates you from your money for a time, meaning you don't actually get to see your money leave your hand and go to the seller. If you're making a big purchase, like a major appliance or home furniture, paying with cash can influence your mind to value it more, and you end up taking better care of it over the years to come. This can save you money over the long term by helping your purchases last longer. Approximately 44% of survey respondents rated debit cards as their first choice for making payments. Almost 80% of respondents have a debit card, while fewer than half said they had a credit or charge card. People like to use debit cards for everyday items like groceries and gas. Credit cards are the second most favorite method of payment. Most consumers have at least three credit cards in addition to a debit card. Even people who prefer debit are more likely to make large, impulse and online purchases with a credit card. Other payment methods are increasing in popularity as well. PayPal is a favorite, with 75% of respondents having an account. Interestingly, despite of the growing number of payment options available, debit cards seem to be making a comeback. 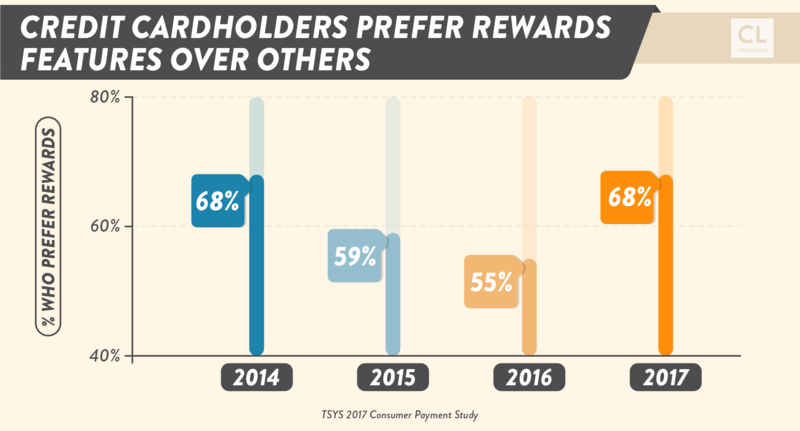 Debit cards decreased in popularity each year from 2013 to 2016, according to the TSYS survey. However, in 2016, debit card preference rose nearer to its 2013 peak. They don't have to watch their budgets as much. This allows them to make more impulse purchases. Among people earning $150,000 a year or more, 56% chose credit cards as their favorite payment method. People who earn less can't afford to overspend, so they use cash, debit cards, or bank account drafts for bill payments more often. They also like the security and ease of use of debit cards. Some low- or moderate-income consumers might be using debit cards more often simply because they can't get credit cards. Or even if they can, they might have very low credit card account limits, or their cards are constantly maxed out. Fewer than one-third of people making less than $50,000 per year prefer using a credit card. In case you're not aware, there's something called a "secured credit card" which is a good way to steadily build up credit if you have none. It requires a deposit but you can boost your credit score and get your security deposit back by paying your balance regularly or by taking out a small personal loan. And speaking of personal loans, CreditLoan has been around since 1998 and we're proud to have helped more than 2,000,000 customers get access to funds they need, while also helping educate consumers on financial issues that matter. Many online retailers let you store your credit card information on their site for future use. You might feel safer storing your credit card information on a website than you will feel entering your debit card information. If your credit card is hacked, you can call the card company and stop payments. If your debit card is hacked, your cash might get cleaned out of your bank account. Even if you can get your cash returned, it might take days or weeks. During that time, you might start missing scheduled online bill payments you need to make. Younger people aren't afraid of learning new technology. They understand how it works and they are more aware of security issues. Millennials are more likely to use personal shopping assistants like Amazon Echo or Google Home. They also use peer-to-peer payment systems (like PayPal and Venmo), mobile wallets and mobile banking apps. For example, 42% of Millennials use P2P systems, while only 16% of people aged 55 and older use them. However, with each passing year, more and more baby boomers are trying new payment options, including P2P systems and smartphones. It's the number one benefit TSYS survey participants said they want in a card. However, rewards cards often include higher annual fees and interest rates. They can also lead you to overspend as you try to "top off" your points to reach specific rewards milestones. Even if you earn cash back using a credit card, you might pay more in interest than you earn in cash back. On the other hand, if you're careful with your usage and credit strategy rewards cards can pay off. I had a friend who used only cash or debit cards for three years. He thought he was being smart by not paying any credit card interest. However, he lost out on four or five free airfares during that time. He had to pay hundreds of dollars for each flight. He also lost out on cash back bonuses. Since he had the money to pay in cash, he could have charged his purchases, earned rewards, and then paid off his entire balance with his cash each month. My friend eventually wised up. Not all rewards programs cost you money, depending on what you buy. Look for credit card programs that offer extra points for specific purchases, such as groceries, gas or dining. That's because the more credit you use, the lower your score can go. Keep an eye on your credit scores using the free scoring reports you get with your cards, mortgage or other financial products. Or use a credit monitoring company. You can also go to AnnualCreditReport.com and get free copies of your credit reports. This will let you see if there are any mistakes made by companies that can damage your creditworthiness. If you have a card with a partner, discuss how you will each use it and be honest with each other. During the early days of credit cards, my friends' grandmother used to hide some of the monthly credit card statements from her husband. She didn't want him to see the itemized purchases she had made. The next month when the statement came, her husband would just see a balance forward, she thought. What neither realized was that by missing payments several times each year, they were damaging their own credit score! Be very careful if you have co-signed a credit card account for one of your children. Since they are new to credit, they might rack up your card too quickly. Let them use the card to learn how to responsibly manage credit card use, and set a rule that they must ask you before they make a purchase. Ask them how they feel about using credit cards compared to debit cards or cash. This will help him or her start thinking about his or her spending at an early age. According to the TSYS survey, 51% of respondents haven't opted out of paper statements. The public also prefers to handle customer service issues by phone or face-to-face. 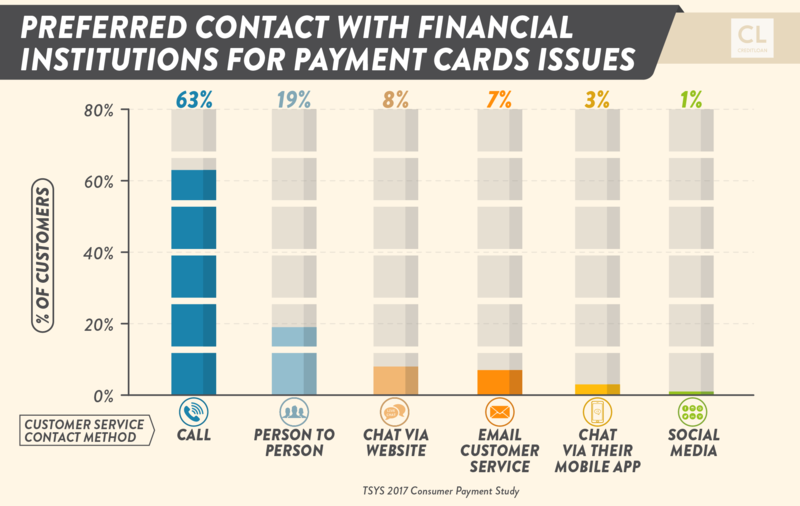 Live chats, email, and online forms are increasingly available for customer service, but most people want to speak with a live human when it comes to their money. When making purchases, ask yourself, "Is this a need or a want?" If the purchase is a want, think about how you'd feel if you had to pay cash. This can help you from overspending and blowing your budget. If you aren't familiar with digital payment methods, try to learn more about them sooner than later. You don't have to use digital wallets, PayPal or other electronic payment methods today, but you might want to someday. For some expenses, you might need to in the near future. It's better to fully understand how online payment methods work now so that when it's time to use them, you can do so safely. Keep a written list of the cards you have, the digital payment methods you use, and the websites that have your payment information stored. Set dates to change your passwords every six months or at least every year. You can also arm yourself with inside information to avoid retailer tricks to get you to spend more money. For example, be aware that salespeople will try to upsell you. This means helping you find what you want, then suggesting another item that is "just perfect" to pair with the item you just bought. Do you really need it tomorrow? And don't spend more just to hit a free shipping limit. Choosing to use your credit card or your phone or cash to pay for something doesn't always require a great deal of thought. However, based on your beliefs about your finances, you probably choose payment methods out of habit. Your age and income level have a big impact on how you pay. Your interest in security, privacy, and rewards also impact which payment method you choose. If you can't keep your impulse spending under control, or feel you're paying too much in fees for your credit cards, think about how you're paying for things. If you're on a tight budget, ask yourself, "Would I still be buying this if I had to pay with cash?" Manage your financial security by updating your passwords at least once every 6 to 12 months. Keep an eye on your credit scores and reports. Take a good look at your credit card statement, online shopping site accounts, and bank statements regularly. Review your payment history and look for patterns. You might find that changing your payment habits can save you money and help improve your personal financial future. How self-aware are you when it comes to your own motivations behind choosing to buy things with either cash, credit, or debit cards? Has it ever crossed your mind that some of your shopping or purchasing habits are influenced by the payment method you use? Were you surprised by any of the findings made by the studies we mentioned above? What can influence which payment choice I use? Your financial situation, your age, your comfort level with technology, security concerns, and how important the item you're buying is. Are there any warning signs I should look for? If you have a choice between a debit card and a credit card and you reach for your credit card, ask why? It might be that you don't really need that purchase and buying it will hurt your budget. Can't I just use a debit card or credit card for all my purchases? Yes, you can stick to plastic, but it might become harder to pay for everything this way in the future. It's a good idea to start learning and getting used to new payment methods. How do I keep my money safe with all these payment methods? Write your accounts and passwords on paper, then change your passwords every six months or so.